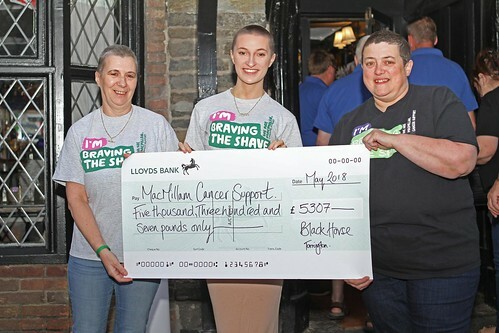 On Mayfair day 3 brave women from the Black Horse Inn had their heads shaved for 2 worthy charities. 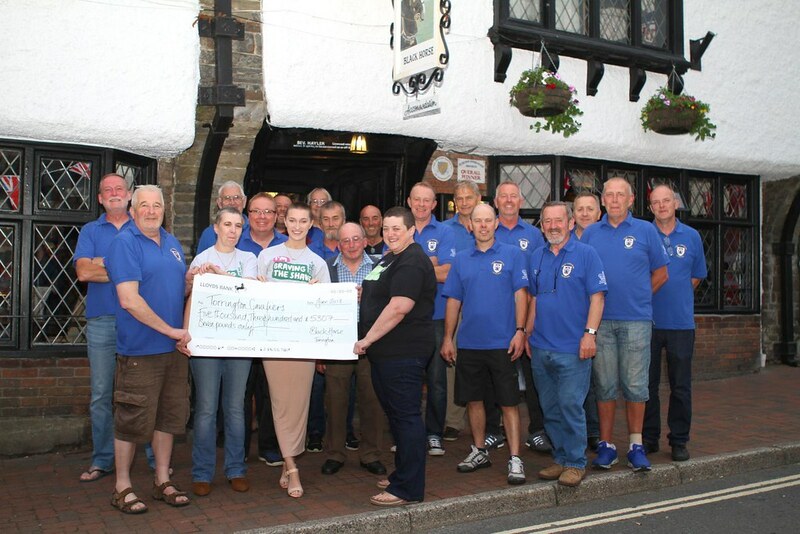 They aimed to raise £5,000 to be shared equally between the Great Torrington Cavaliers and Macmillan Cancer Support. Before our monthly meeting on Thursday 7th June, Bev, Jane and Payton presented us with a cheque for £5307 being half of the £10,614 raised. What an amazing result and Thank you so much for the donation, we are all very proud of you. The Brave the Shave Result is in! So the Moment you've all been waiting for!!!! The sun was shining and what a fantastic few days we had! The Cavalier dancers strutted their stuff with a tribute to Queen! Thanks to our supporters so far! 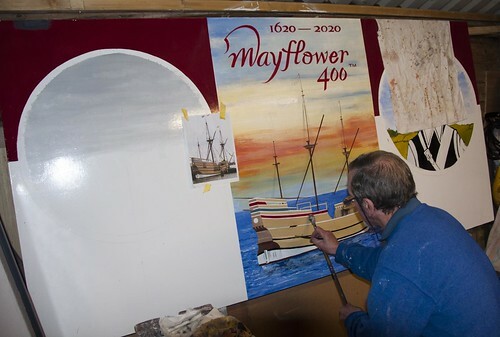 This has been posted on the Mayflower 400 website (News & Blog) today. The Great Torrington Cavaliers, holders of the “Queens Award for Voluntary Service” have started the build of their bonfire spectacular to be burnt on Saturday 29th August 2020 as part of the Mayflower 400 commemoration; this also marks the 50th anniversary of the Cavaliers. It was due to an invite from the Lord Mayor of Plymouth to attend the 350th anniversary of the Mayflower's journey in 1970 that lead to the Great Torrington Cavaliers formation with the motto “Let’s put on events the like of which Torrington has never seen before!”. 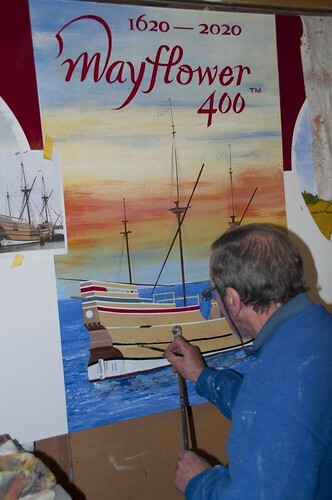 The 2020 event will be the most spectacular event that they have embarked on to commemorate both dates in history. This is our President Roger Davies sign writing the Mayflower 2020 bonfire sign board to be onsite soon.... keep your eye out he is a very clever man! 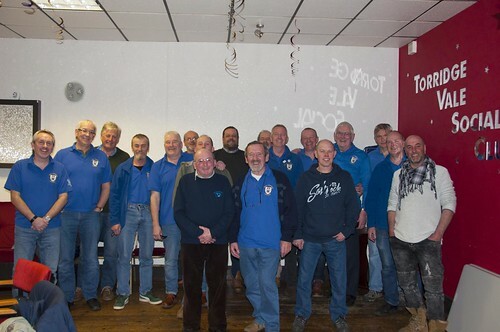 8th March was our 47th AGM. 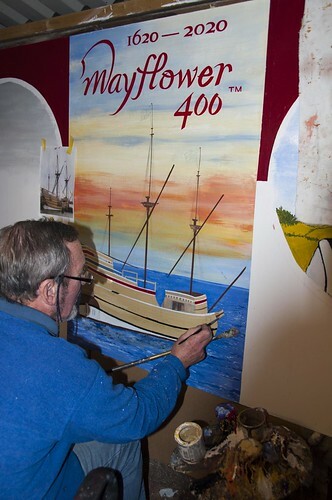 John Craker was voted in as a FULL member of the Great Torrington Cavaliers, welcome aboard John! Congratulations to Daren Nudds who is now our Vice Chairman. 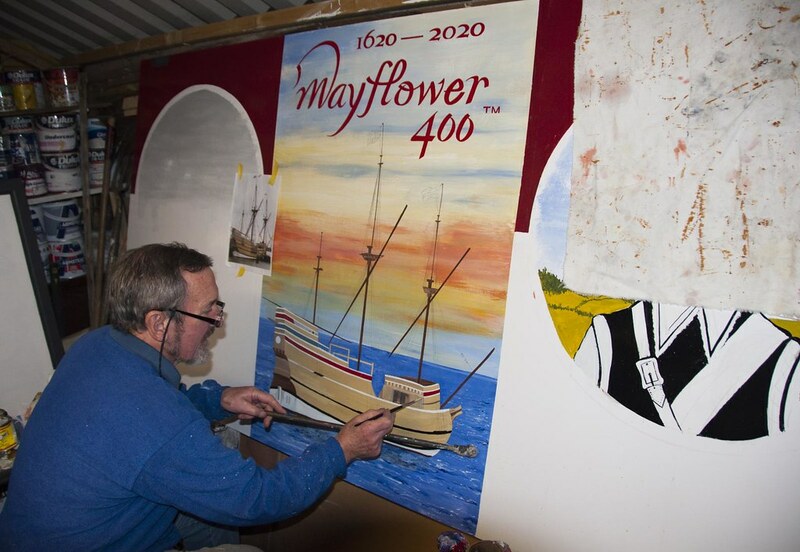 The 2 Finger award was presented to Steve Blake for his work so far with Mayflower 400 - Bonfire 2020. 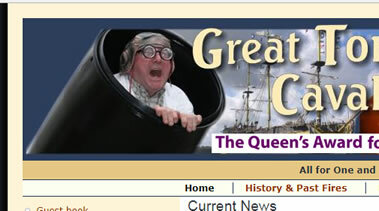 Make sure it is shown the right way round! 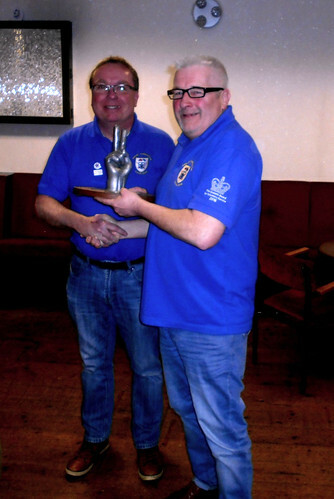 See our chairmans report here.